CHECHESMITHNATION : Bonang's New Cartier Watch Is Truly Fit For A Queen! Bonang's New Cartier Watch Is Truly Fit For A Queen! 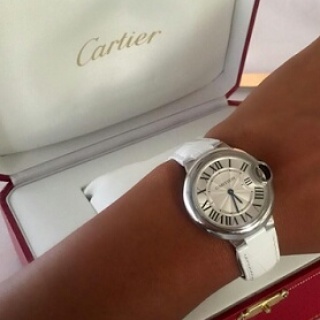 Check-out Bonang Matheba's new expensive Cartier watch. The South African Tv personality posted the picture on her Instagram page and wrote 'spoilt'.